When you think of winter, do you imagine yourself snuggling up on your sofa all wrapped up warm in the comfort of your own home in front of a cosy warm glowing fire with a nice cup of coffee in hand? When you are enjoying moments like that, how often do you really think about the conditions of your chimney? 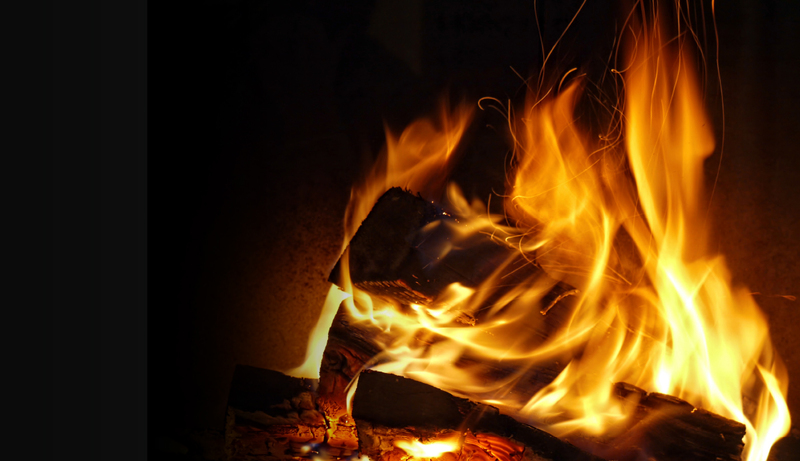 For many people thinking about a chimney fire will be the last thing on their mind. However, it is ALWAYS crucial to think about what would happen when you light a fire, after all no matter what type of content you use it in… it is still a fire! What are the indications of a chimney fire? Warning: In more serious cases, chimney fires can burn very intensively resulting in destroying homes, causing injuries to people and possibly death. Top Tip: Evacuate from the house immediately and ensure the distance between everyone and the fire is as far away as possible and then contact the fire department to inform them of the situation. What to do after a chimney fire? Do not be put off with using your fireplace or wood-burner again, instead talk with a professional and ask them what had cause the fire and how to avoid it from occurring again. Just be extra careful next time and ensure the appliance and the chimney is thoroughly inspected before it is used again. Refer back to our chimney sweep page for more information about the importance of having your chimney swept. This is our advice on how to indicate a chimney fire. If you wish to act upon any of the information given you should do so at your own risk. We will accept no liability or claims from the activities arising from the information set out in these web pages.